Veterans Leadership Program of Western Pennsylvania applied for a Forbes Fund Process Reengineering Cohort grant funding for their Mission Critical Intake Process. PAI’s Holistic Change Management expertise resulted in increased and improved Service Delivery while also producing a Dramatic Bottom-Line Savings. Veterans Leadership Program provides housing, employment and supportive services to 168,000 veterans in 17 counties from its Pittsburgh and Johnstown offices. The two offices processed 2,400 intakes a year across all of their service lines. The reengineering effort analyzed the intake and receptionist activity and processes along with their EHR and Grant Funding System information workflows. The redesigned processes eliminated organizational silos, reconfigured staff roles and responsibilities and eliminated redundant data entry. 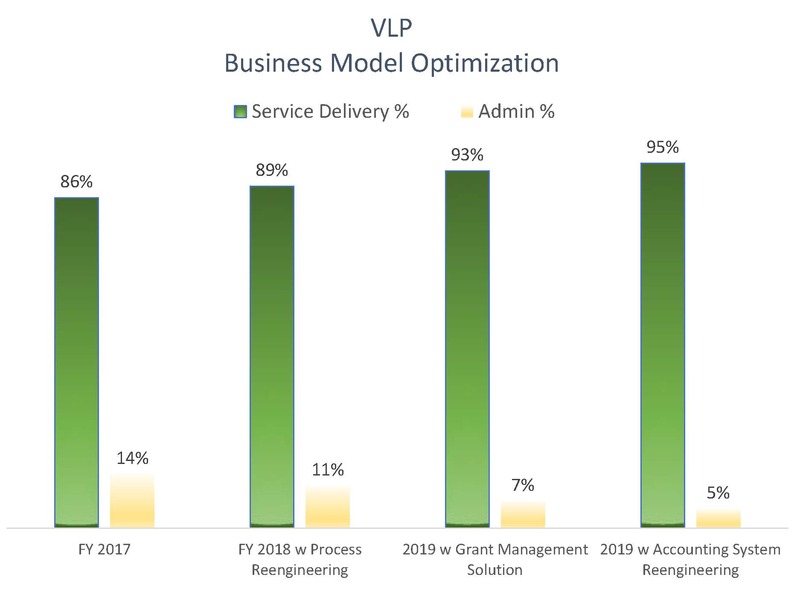 VLP improved both Client Outcomes while slashing costs. 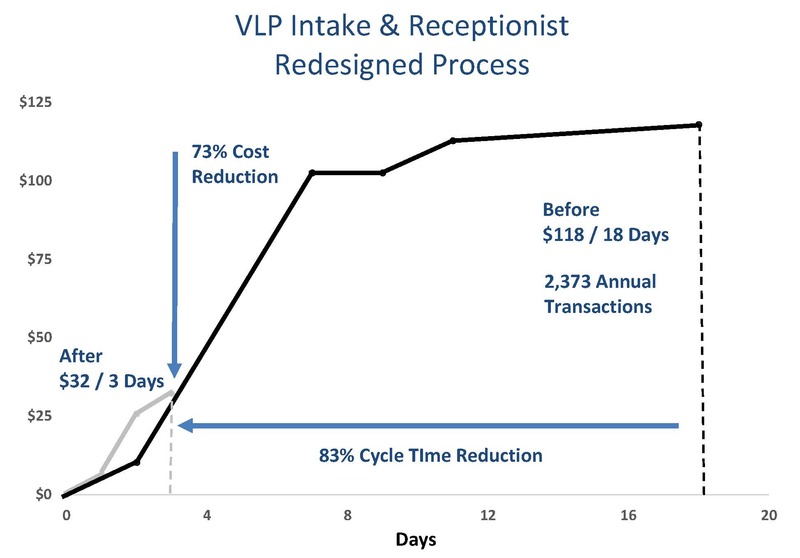 The reengineered process reduced veteran service wait times by 83% while reducing annual direct costs by 73% or over $100,000.